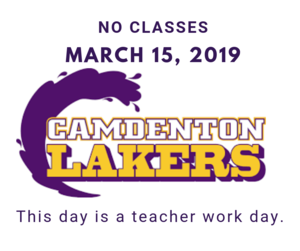 Camdenton R-III Schools will not be in session on Friday April 19th or Monday April 22nd. Miles for Smiles is coming soon! The mobile dental unit is scheduled to visit the Camdenton R-III School District from April 8, 2019 through May 3, 2019. Read full story for further details. If you would like to follow the Camdenton R-III Calendar on your device, click +Google Calendar in the lower right corner. 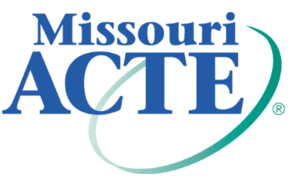 We are asking staff, students and parents/guardians in our district to please complete the survey by end of day April 12. Please join us for the 17th Annual Elegant Evening on Friday, April 26th at Camdenton High School beginning at 5:30 p.m. Online reservations may be made by "Read full story"
Course Enrollment at LCTC for the 2019-2020 school year is now open! 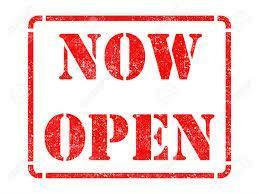 You may view the course guidebook and access the LCTC Course Request Form using this link. A Google Calendar version of our Camdenton R-III School District Calendar is now available. As changes (such as snow days and make-up days) are made to this calendar, your device will automatically update them to your calendar application. If you would like to follow the calendar on your device, you can find in on the website on the District Calendar page. 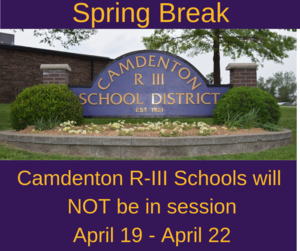 The 2019-2020 Camdenton R-III School District calendar is now available. Click to view the 2018-2019 and 2019-2020 calendars.